Go ahead and double this recipe, then pop one bag of marinating meat in the freezer! Mix all marinade ingredients in a ziplock bag. (If the meat is going on the grill, leave it whole, and slice after cooking. 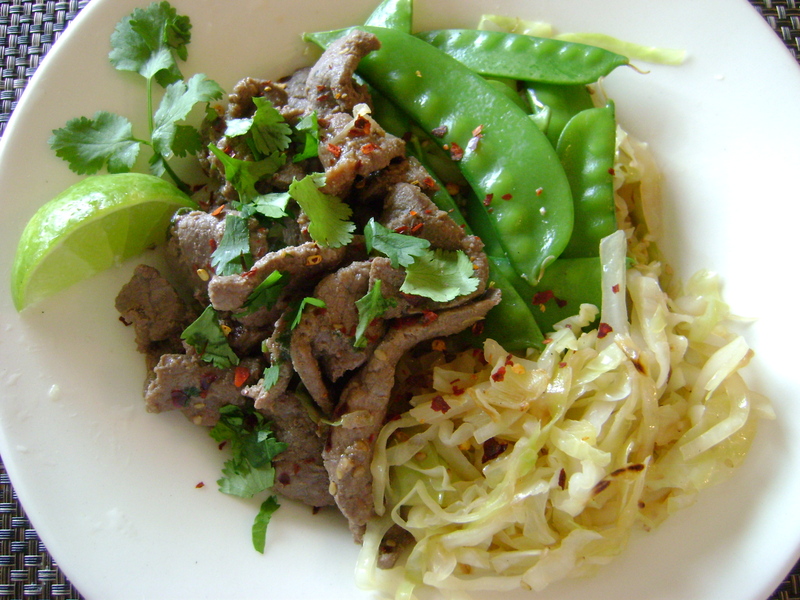 If you are going to sauté the meat in a skillet, slice it in 1/2 inch strips ahead of time.) 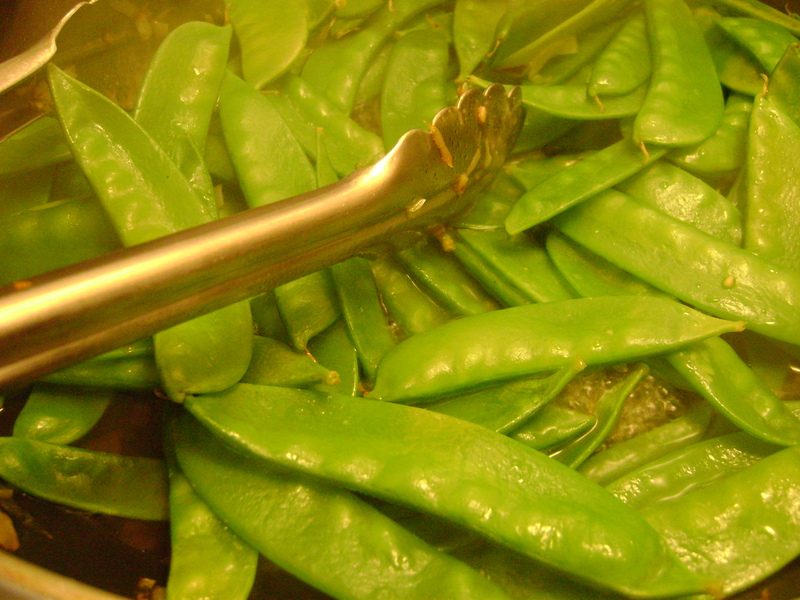 Add meat to the marinade, and marinate–preferably overnight. Grill or stir-fry in skillet with marinade…this cooks really quickly so watch it carefully…a little pink is okay! 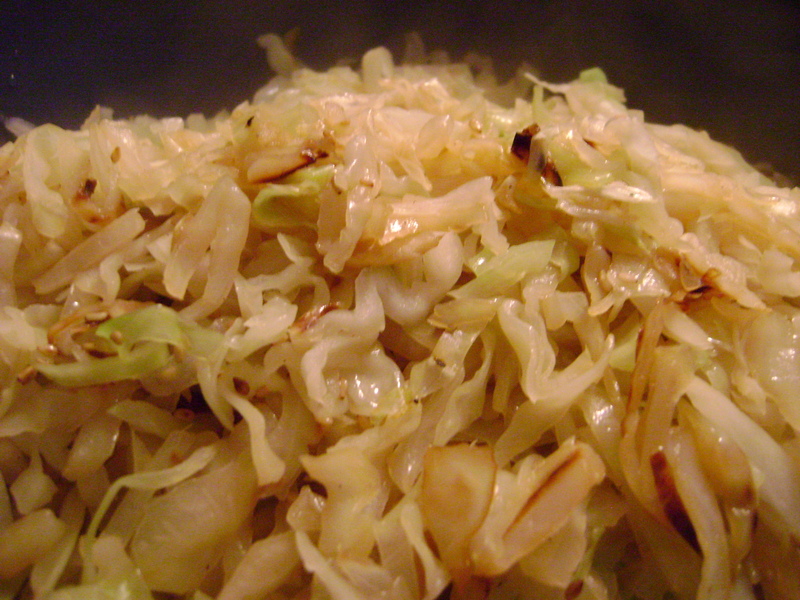 Serve over thinly shredded cabbage. I sautéed mine in coconut oil, then seasoned it by tossing in a few shakes of soy sauce, 1-2 tsps of sesame oil, and about 1-2 tbsp sesame seeds. Garnish with limes and cilantro, and some red pepper flakes if you desire! **My grocery store labeled the meat as for “Rouladen.” Basically it is sirloin roast sliced paper thin. 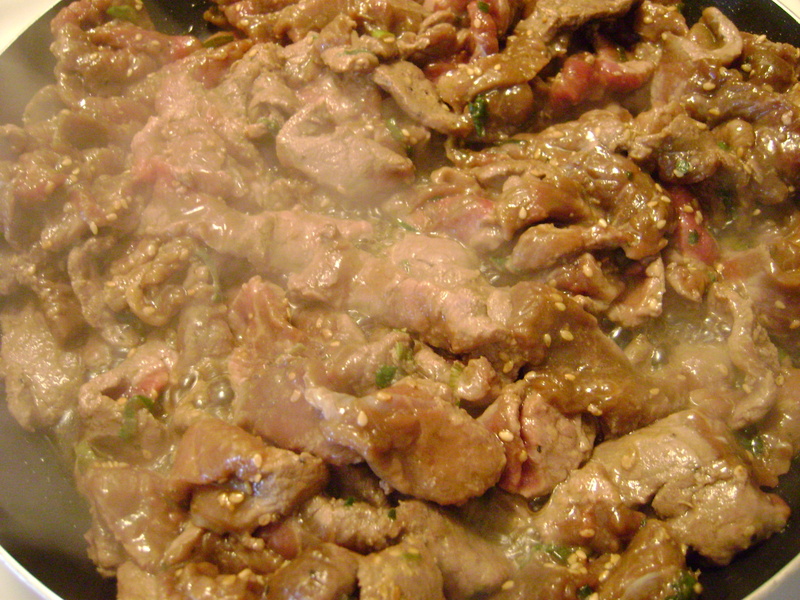 You can see more awesome Bulgogi how-to photos here. This recipe was given to me by my friend Amy. Ooh MLK is gonna love this one!! sounds fabulous. Will you make this for us when we come? Can i freeze this in the marinade?